When it comes to choosing a venue for celebrating a special day in our lives, the most important consideration is heartfelt hospitality that we can offer to our family and friends. 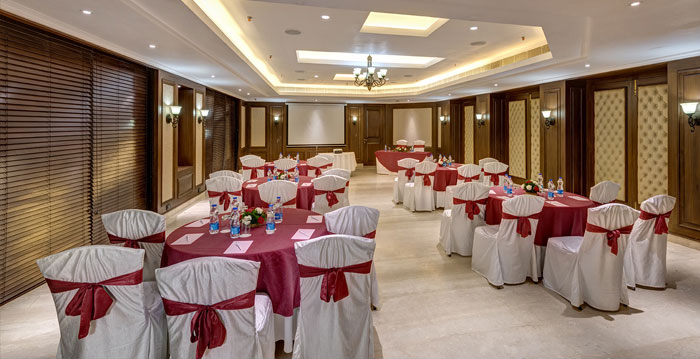 Whether it’s a birthday, anniversary, marriage ceremony, success party, get together or a corporate and business meet, the venue can add many dimensions o happiness and fulfillment to that very special day in our lives. Located in the heart of the city, The Astor Hotel in Kolkata has excellent banquet space that you can book for making memorable moments. Apart from hospitality, here are three reasons hy you should choose The Astor Hotel banquet over any other venues. 1. Food: Renowned for its North Indian cuisine, The Astor banquets can also churn up different cuisines from Chinese, Mediterranean, Italian and Thai to a variety of Indian dishes from all across the country. The ever helpful team at the city’s best heritage hotel will give you options to choose from and will patiently lead you to the menu that you want. From starters and salads to main course and desserts – you will get everything that you need. 2. Ambience: With the beautiful red and white heritage backdrop, the building of The Astor Hotel is a treat to sore eyes. If you have guests coming over from outside the city, then they will thoroughly enjoy staying at one of the beautiful rooms of the hotel too. Whether its morning or evening, the banquets located on the ground floor of the establishment are easy to access without causing any one any disturbance. 3. Space: How do you want to do up the place? Between The Astor’s two banquets – Coronation and Rendezvous – there are options galore. Theatre style, round table, drawing room sitting, soft lights, bright lights, floral arrangements, buffet lay out, projector, music, stage etc – you name it, and The Astor banquets can accommodate them all. The patio outside the banquet not only serves as the parking area but can be converted into an extended party zone too. If you are looking for convenience, helpful staff, great food and excellent banquet rates, then look no further than The Astor Hotel in Kolkata. Previous Post:Weekend Getaway at The Astor! Next Post:That Morning after Saturday!